Wild Blue… | Food It Yourself! 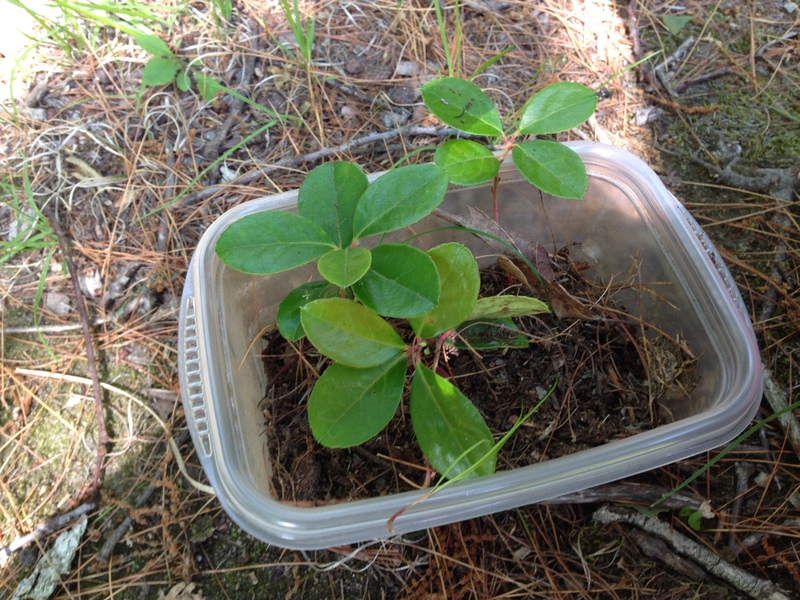 I finally found a stash of wild blueberry plants. I’ve been looking for a very long time. To be perfectly honest I was not totally sure that the plants I discovered bore blueberries, as I first spotted them out of season. 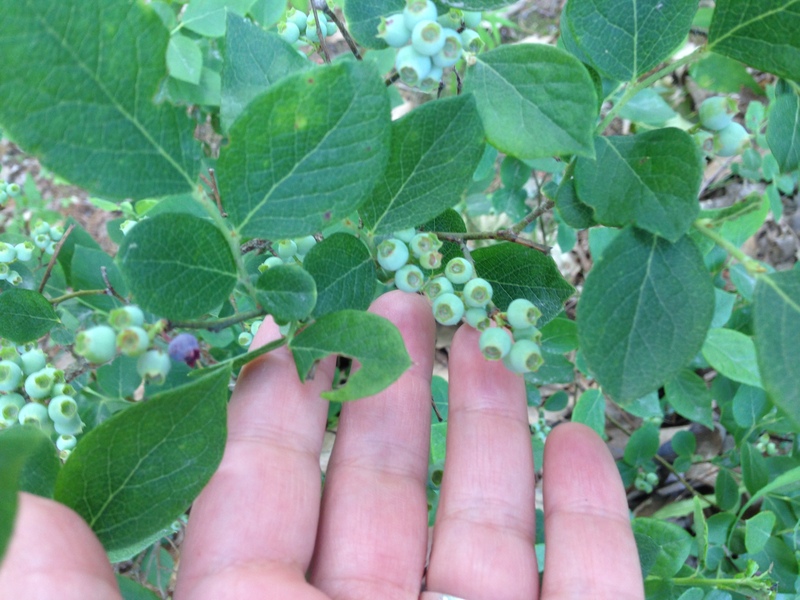 However, a few weeks ago I saw the tell-tail berries, still green and hard. Only after this confirmation did I plan to do some picking. Because we never eat what we cannot positively identify, right? Remember- the best stuff is usually off the main path because fewer people think to look there. Just stay on the actual marked paths. Don’t be That Guy. It is always hard to tell when wild fruits will ripen. Weather, soil quality, zealous birds that don’t care if the berries are fully ripe, and a host of other factors can alter the time it takes for both wild and domesticated fruits to ripen. 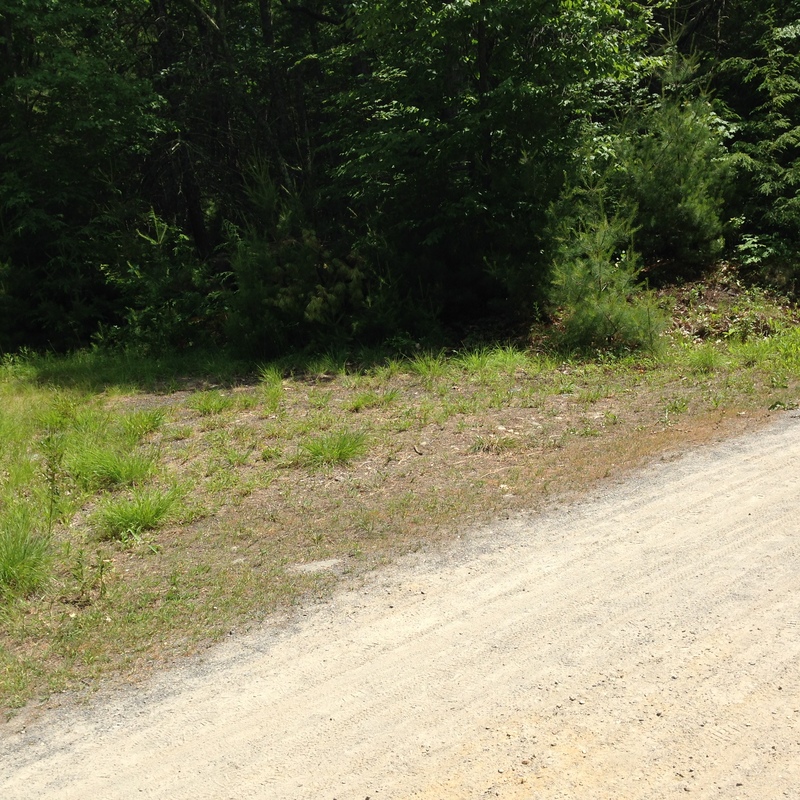 In general, blueberries in Massachusetts start looking ripe around July fourth. Not wanting to miss the berries (those birds act fast! ), I erred on the side of “too early” and trekked off to the berry patch with a few food containers. I didn’t think I’d fill all three pint containers that I packed but you never know. Yes, there were many, many birds swooping around the low-lying shrubs. 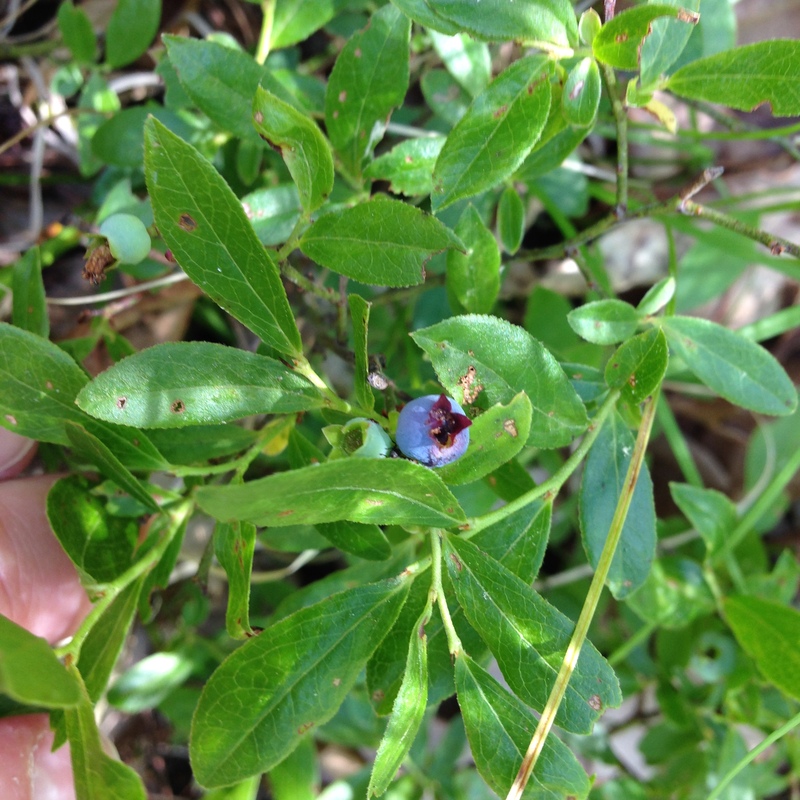 I also found some perfectly ripe little blueberries. There it is! This little guy is coming home with me. And by some, I mean about a teaspoon of them. Yup- that’s all I got this time around. There were some higher bushes full of un-ripe berries, so I will be going back to the woods soon. Mr. Food It Yourself and I ate my tiny harvest after I got home. Wild blueberries are super sweet and much fuller flavored than the domestic varieties. I will fight off the birds for more in a week or two. Next time, my friend, next time. 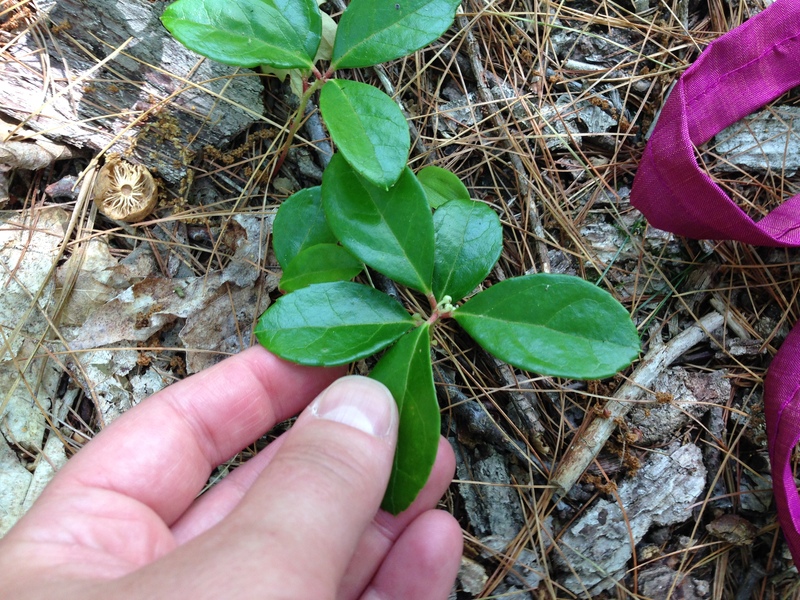 Not wanting to return home so nearly empty handed I decided to try and tame another wild resident of my local forest- wintergreen. However, if you crush one of the leaves and give it sniff you will get the unmistakable scent of root beer. I used my two empty food containers to take a few plants, roots and all, in some of their native soil. I’m not saying Mr. Food It Yourself and I will make our own root beer, but if these plants take hold I’ll have the main flavoring ingredient and a no-mow ground cover for my lawn. These unassuming plants are full of wintergreenie essence. Glad I left the main path. When you gather from the wild there will always be an element of surprise. You might not re-enter civilization with exactly the stuff what you were looking for. If you come prepared, though, you might find something else that’s just as awesome! What’s the most surprising thing you’ve found in the wild pockets of your native land? Share in the comments! 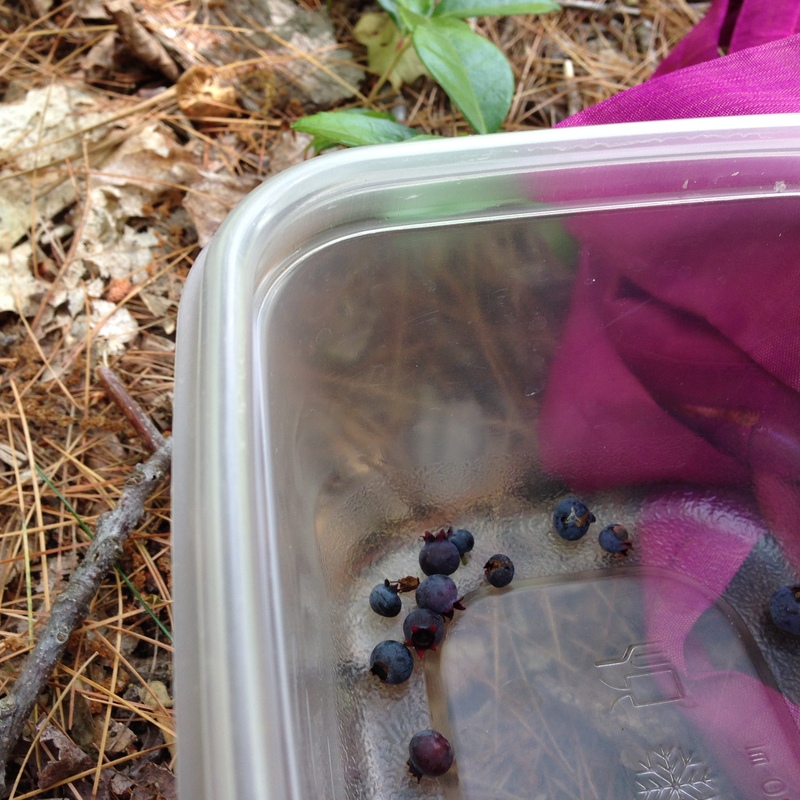 I like my wild blueberries in oatmeal I cooked on a campfire.